BAYO ADEBOWALE’S LATEST HOT POETRY BOOK PUTS AFRICAN IMAGERY ON THE WORLD MAP! -GET YOUR COPY NOW! 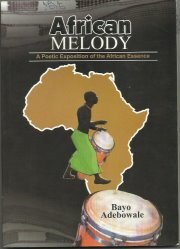 Bayo Adebowale’s newly- published book, AFRICAN MELODY, (A Poetic Exposition of the African Essence) combines sweet melody with harsh melody, melody of expectation with melody of hope, for the African Continent. The 144 page book, containing a total of 61 poems, takes readers on a poetic excursion through the socio-cultural history of a Continent at the focus of global attention. Nature and landscape in the book receive close scrutiny, as much as a number of selected political and historical events in the life of Africans on the Continent, and Africans in the Diaspora. (e.g slave trade, colonialism, coup d’etat, poverty, class distinction famine, racism, genocide, etc. )The poet adulates the achievements of the heroes and heroines of the land, while despots who smear the Continent’s beautiful garment with mud, receive castigation and several knocks on the head. 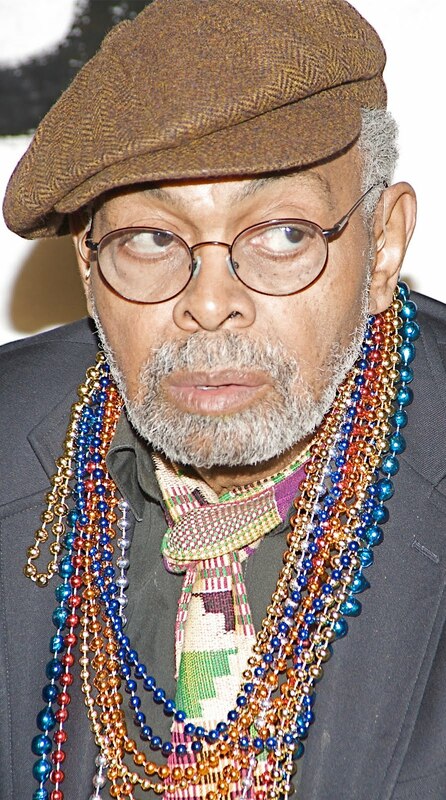 Melody of hope resounds in the book with the arrival of notable icons – African role models like Shaka –‘ the black pugilist of the unconquered land of the rugged Zulu nation’(p.14); Kwegyir –‘ the amiable Goldcoast whiz kid who at school chanted multiplication table with ease and acted Daniel in the Lion’s Den with dexterity’(p.21); Makeba – ‘the cool evening nightingale perching on the African bamboo, dishing out symphonies of pleasant solo tunes in mezzo-soprano octave to a listening universe’(p.84); Luthuli – ‘the blooming banana rhizome on the bank of the roaring River Orange’ (p.10); Ali –‘ the buzzing bee with a deadly sting, the graceful butterfly floating in the openness of the blue sky’(p.110); and Mandela, ‘who trod, unscathed, the narrow freedom road, strewn with pricks and pains, thistles and bristles.’(p.98) and Barrack Obama – ‘the long African broom, sweeping the New World horizon incredibly clean and penny – bright… the arrow head of mighty Luo spear shooting staright to target’ (p.124). BELLS UNIVERSITY OF TECHNOLOGY, OTA. – African Heritage Publishers (AHP); P.O.Box 36330, Agodi Post Office, Ibadan, Oyo State, NIGERIA.